Milk Makeup’s Luminous Blur Stick is a lightweight primer that ‘blurs’ over pores while granting a healthy glow. Infused with golden pearls, the formula brightens skin in an instant without appearing greasy. Illuminating it may be, but the intelligent stick also mattifies and smooths. The secret lies in hi-tech blurring microspheres that absorb oil and shrink visible pore size for a soft-focus finish worthy of an Instagram filter. The resulting natural oil-free glow can be worn alone for a ‘your skin but better’ no make up-make up look or topped with your favourite foundation. Not only will make up glide on evenly over the primer, it’ll also have an extra dose of staying power. 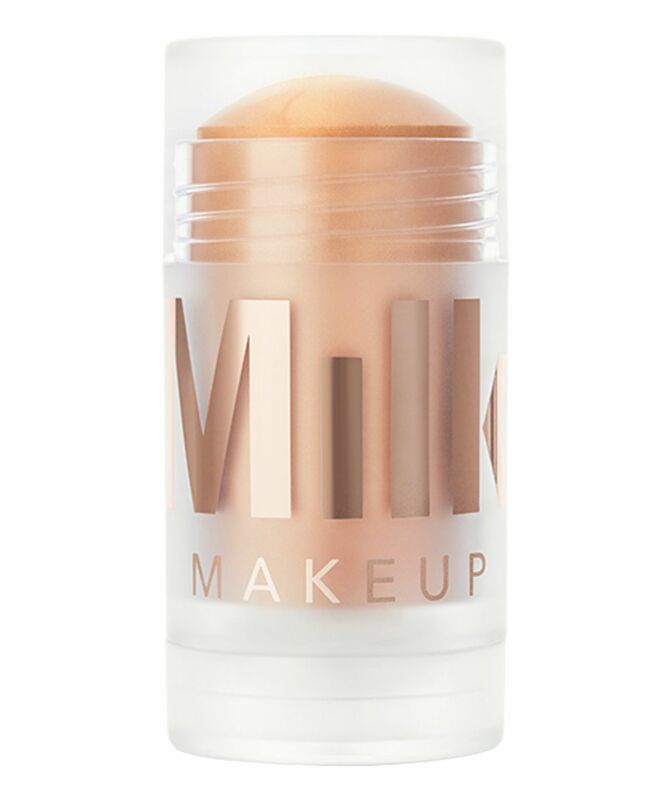 Silicone-free, paraben-free, cruelty-free and 100% vegan… Phew… Milk Makeup have proved yet again that you can get incredible payoff with good-for-you ingredients. Dry skin types should moisturise first, then apply and blend the primer over skin. Oily skin types should apply the primer to bare skin, before topping (if using) with foundation. Combination skin types should apply the primer to areas that need mattifying or smoothing, such as the T-zone. 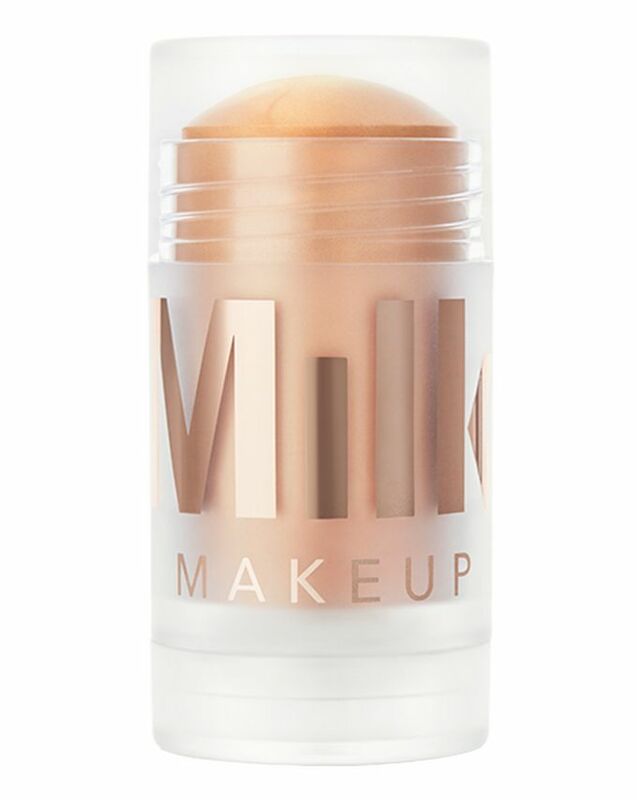 I was really looking forward to using this product and it’s the first product that I’ve used by Milk but I can’t see a difference when I use it except for some shimmer. It doesn’t blur my pores which I was really hoping it would. So glad I bought this product! I have dry skin but large pores so I needed something to blur my pores without making my skin look too dry. Looks lovely on the skin I can’t wait to start using it on my clients too! Would definitely recommend! It took a couple of goes to get this to work for me, but worth it in the end. As other reviews have said, it needs to be used sparingly and blended, otherwise it just sits on top of the skin and then anything you put over it will also just sit there and eventually crack and crease. I was hoping i'd be able to use just this on days i didn't feel like using much makeup, but the glow is a bit too much for me, doesn't look natural on it's own. Does not sit on the skin as it suggests. Very, very disappointing. Used sparingly under foundation, this looks fab - not greasy or shiny, just a subtle, soft and glowy sheen that lasts pretty much all day. It doesn’t crack or settle into fine lines on more mature skin and whilst it didn’t completely blur my pores, it definitely did enough to make a difference. Lasts ages...love it! This has to be the worst product from Milk makeup. So disappointed that I wasted money on this. The primer sits on top of the skin and when I applied foundation, the product started to crease and break around my nose straight away. So I have dry skin and I'm 38 so I have fine lines. I really like this product although it has taken me 4 goes to get it to look right, and use the right amount, and I'm a trained makeup artist. It is quite buttery and shimmery so yes in some ways like a highlighter it enhances flaws, but if paired with the right base (I find under IT Cosmetics CC cream this works like a dream, or YSL Touche Eclat foundation), it gives a soft, lit from within glow. I will say it has improved the staying power of my foundation as I do not use powders as I have fine lines and dry skin. It also smoothes out imperfections and makes them easier to conceal. Bit of a weird one but overall I really like it. Just don't use too much and blend with fingers more than you'd expect. Absolutely love this product, well worth the money. It’s so good on my skin, gives me a nice subtle glow under my foundation, and my foundation glides on nice and smoothly when I use this. Great new addition to my makeup bag! This honestly makes my skin look amazing. I wear nothing other than this, concealer and some setting powder. It makes my skin look gorgeous and I've had loads of comments on it... someone told me my skin looked like "butter". I do think it is more suited to those who already have a good skin base in all honesty, i have sensitive/combination skin but my pores are already small and i have no blemishes. I was so excited to try this, but have to say - what an absolutely awful product! It's supposed to blur pores? It does the complete opposite! It made my skin looks terrible and only amplified my pores and made them look even bigger and more noticeable. So upset I wasted so much money on this. Great as a pick me up. I've seen some pretty harsh reviews for this product but I really like it. I don't wear any makeup aside from a tiny bit of BB cream once in a while but I do like something that gives a healthy glow. This is easy to apply, you just swipe it on where you need it and blend with your finger tips. It doesn't give a megawatt glow; more of a subtle semi-matte sheen. It has a light citrus scent and there's a ton of product so the £30 price tag is a little more justifiable. If you're looking for something to give a soft sheen on a no make-up day then this is a pretty great choice in my opinion. Was so looking forward to trying this out, I was thinking it would blur my pores as described whilst leaving luminosity to my skin. Possibly the worst product I’ve ever tried, made my skin look absolutely awful, ruined my foundation, tried rubbing it into my skin with my finger tips instead of a brush, just looked worse. Such a waste of money.